The three tornadoes reported so far (there may have been one in Nebraska) are the northeasternmost tornadoes since reliable records began being kept in 1950. 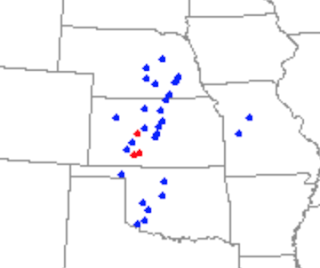 Here are the previous Christmas Day tornadoes. 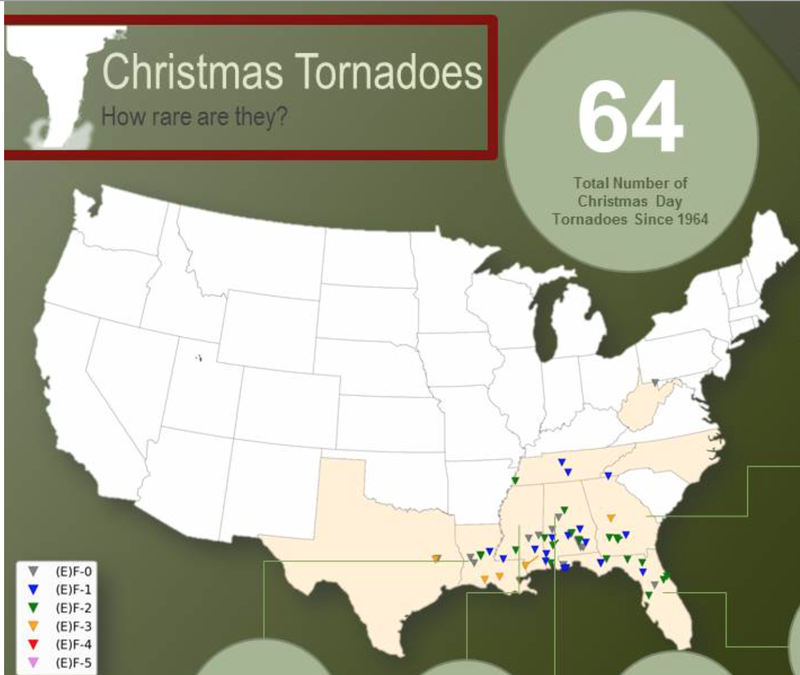 Your earlier post on the "radar gap" causes me to speculate that this "Christmas Tornado" observation is perhaps another case of improved coverage. I grew up in Dodge City (b. 1940), and there wasn't even a TV station until the mid-1950s, let alone radar coverage. There were probably more farmers living on their property than now, but I don't know that this meant more trained weather observers. I doubt it. Very spotty telephone service even then, so newspaper reports? Seems unlikely. But still .... This 2016 report is another data point.